When representing a client who is buying, selling or leasing a home or commercial property, attorney Douglas Tull focuses on two issues — protecting our client’s financial investment and closing the deal smoothly. When doing so, attorney Tull relies on over 30 years of experience of handling real estate transactions for clients in Utica, Troy, Rochester Hills and other communities throughout the region. Call a lawyer before signing that real estate purchase agreement! Your real estate broker has two goals — to close the sale and to collect a commission. 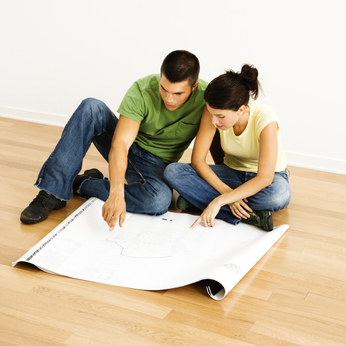 A real estate company provides standard purchase agreements designed to promote those goals. As a real estate lawyer, Doug has one goal — protecting his client. Each purchase contract he drafts is custom-designed to take advantage of opportunities and minimize risks in light of his client’s unique situation. If you are ready to buy a home or commercial property or if you have been approached with an offer, contact our Utica office to have Doug review or draft a contract that addresses your personal needs. If you would like to speak with attorney Doug Tull about a real estate transaction or have any other questions, please call toll-free, 1-866-TULL-LAW (885-5529), or e-mail our firm. Our office is conveniently located in the heart of Utica, Michigan, at the southwest corner of Hall Road (M-59) and Van Dyke Avenue. (Map and directions) Evening or weekend hours are available by appointment. Home visits are available for the elderly and those with special needs. Credit cards accepted. By submitting this request, you agree that this does not establish any attorney-client relationship with Tull Laubach PC. website by tc green media.